As I interacted with Meera, I came to like her immensely for various reasons – her pleasing smile, her ease as a home-maker, her spontaneous affection, her joy at whatever she accomplished. But what captured my attention most was her relationship with her mother-in-law. They were a perfect pair. Their comfort with each other was a lesson in human relationships. Meera called her ‘Aunty’, so I came to call her by the same name. All of us have seen people meditate in silent corners with eyes closed. It is an inspiring sight no doubt. But after meeting Aunty, my notion of meditation shifted. Most of the times, she would sit by her window on an easy chair with a cloth in one hand and a needle and thread in the other. My strongest memory of her is that serene, peaceful expression she held while she embroidered away. After meeting her, the word that always springs to my mind in connection with embroidery is – ananda, bliss! It came as no surprise that Meera dedicated the first chapter of her first book to her mother-in-law. Titled as Madras Mosaic, its light-hearted, humorous style makes it a book one can read anytime, anywhere. I met Meera recently after a long gap of time, and as we got chatting, it was but natural for me to ask her for a tribute recipe. So here it is, a family favourite in the Rao household – a brinjal recipe. We are glad to feature their beautiful relationship in this space where we remember our own serene-faced Pedatha all the time. Born into an aristocratic family, my mother-in-law studied in a convent School. Being the only girl child, with two younger brothers, she had a pampered childhood. 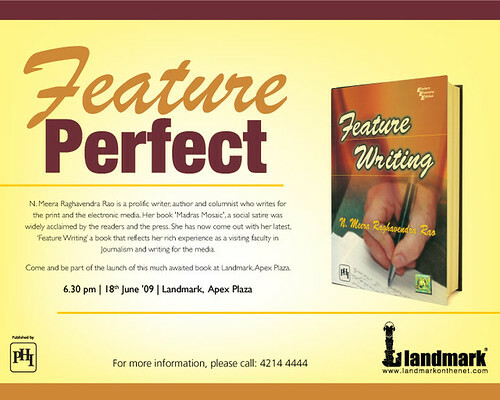 Yet when at the young age of 15, she was married to Shri Nandagiri Rama Rao, a chartered accountant, she soon settled well into her new, large family. Despite having a handicapped first born, she was never one to moan her fate or make others in the family miserable. From the very day I entered my husband’s family as a young bride, I felt a part of it as my mother-in-law enveloped me into her fold more like a grand daughter (she used to plait my hair everyday), than a daughter-in-law. We truly shared an excellent rapport. A good Samaritan at heart, she always placed others’ interests before her own and went out of her way to extend help to those who needed it. When we had get-togethers at our house, she would enthusiastically become scorer for the games organized, ready with a pencil and pad to write the scores of participants. 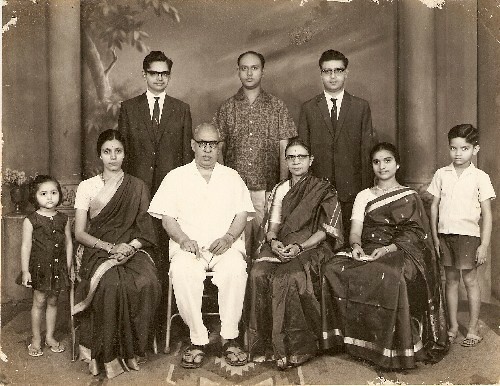 Among relatives she was addressed as Ahalya Akka, and her friends called her Ahalya Maami. I used to call her aunty. She welcomed all those who came home with a warm smile and would never let them leave without accepting her hospitality. Above all, she had a soft corner for the poor and believed in parting with whatever she could to make their lives a little easier and bring a smile on their lips. She loved sweets so much that sometimes she would even make a meal of payasam and laddus. But when my father-in-law passed away (she was in her late sixties then) she gave up eating those very sweets which were so dear to her. When asked about it she would say it was a very small sacrifice she was making as a tribute to my father-in-law, with whom she had shared her life for more than five decades. She wore only Madurai Sungadi sarees and patronized Rangachari Store on Luz Church Road. 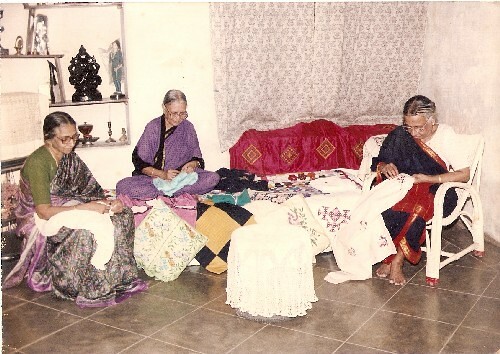 She was very good at sewing, especially smocking and kutch work besides embroidery. She would gift smocked frocks to newborns and hand-embroidered bedspreads and smocked night-wear to newlyweds. A number of ladies, half her age would learn the art from her and her handwork was often displayed at various exhibitions. Her culinary prowess was remarkable, her specialties being cashew nut cakes, and wheat halwa among sweets and bisi-bela-huli-anna (a dish of Karnataka) and stuffed brinjals. When she passed away at 88, six years ago, she left a great void in my life (having lived with her for 33 years). I felt I had suddenly aged by 20 years. I am happy to share one of her favourite KARNATAKA recipes here in this wonderful space for tributes. 1. Dry roast the above ingredients for the stuffing and grind into a coarse powder. Mix 2 teaspoons of oil into this mixture to bind it. 2. Remove the stalks of the brinjals and make criss-cross slits from the top. Wash the brinjals and immediately stuff the mixture through the slits. 3. Shallow fry the stuffed brinjals in gingely oil, tossing them occasionally. When the brinjals have cooked well, take off the flame. 4. Alternatively, you can steam them for 5 minutes and then shallow fry them in oil. 5. If any of the mixture for the stuffing is remaining, sprinkle them over the cooked brinjals. Serve with rotis or as a side-dish in a meal. Hope you enjoyed this recipe. Click to read many more heartwarming tributes and recipes. Share a few lines about your favourite family recipe in the comment form below. The joy of documenting tribute recipes is an experience in itself. It connects generations.